Rocky times for Jaguar Land Rover and Daimler, more drama between Nissan and Renault, and recalls, recalls recalls. All of this and more in The Morning Shift for Thursday, Feb. 7, 2019. With Brexit worries, a falling demand in China and a failed bet on diesel all to blame, Jaguar Land Rover isn’t doing too well lately. That’s putting it nicely, since Reuters reports that JLR managed to post a roughly $4 billion quarterly loss at current exchange rates in just the three months leading up to Dec. 31. That’s a whole lot of money to lose in not a very long time. JLR responded to the drop in January by announcing it would cut 4,500 jobs and get on the electric-vehicle train faster than planned, and that response came just after its owner Tata Motors said there was “no truth to the rumors” that it was looking to divest its stake in JLR or discontinue the Jaguar brand. Spoken like a loving parent. Diesel vehicles account for just under 90 percent of Jaguar’s sales in Europe at a time when consumers are increasingly choosing more environmentally-friendly options. By 2040, more than half of all new car sales and a third of the planet’s automobile fleet — equal to 559 million vehicles — will be electric, according to Bloomberg NEF. Tata Motors risks sinking deeper into junk as its earnings wane. Fitch placed the company on negative credit watch, citing Brexit risks. which is over Tata Motors, N. Chandrasekaran, as saying that JLR would take “decisive steps” to increase competitiveness, lower costs and improve cash flow amid the market challenges—including those in China, which is kind of its own story. The majority of the cuts are expected in UK management roles, costing the company £200m. On Thursday, Tata said there will be no further job losses beyond those already announced. Last year, JLR launched a £2.5bn programme of cost-cutting and working capital improvements in an attempt to turn the company around. It delivered £500m of the programme in the third quarter. 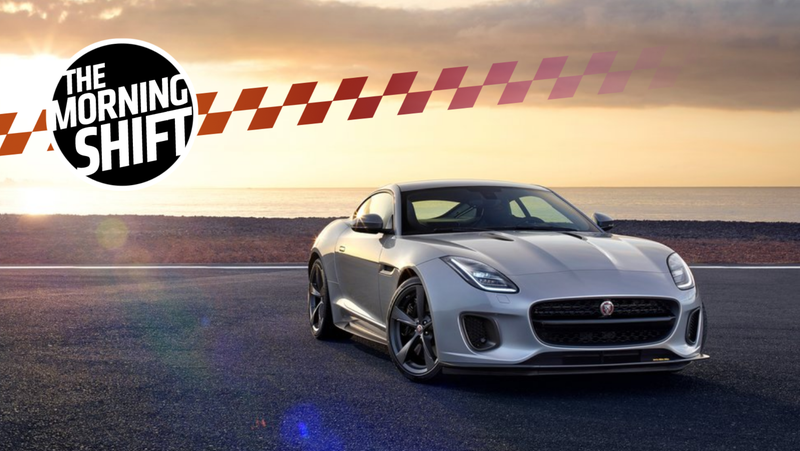 The turnaround program mentioned is meant to counter “multiple economic, geopolitical, technological and regulatory headwinds presently impacting the automotive industry,” the Guardian quoted JLR CEO Ralf Speth as saying. Daimler isn’t feeling so hot lately, either. The Wall Street Journal reports that the company is cutting its dividend and bonuses due to a profit drop of nearly a third in 2018, marking the first time it’s cut either in years. Net profits at Daimler in 2018 were about $8.3 billion at current exchange rates, down from nearly $11.7 billion, the WSJ reports. Daimler warned more than once last year about the “worsening environment,” according to the WSJ, with trade tensions, emissions and tech investments all contributing to the profit drop. In addition to cutting year-end bonuses, the dividend drop the first since 2009, according to the story—was from $4.14 to $3.69 at current exchange rates. The dividend cut is a rare move. Competitor BMW hasn’t cut its dividend in a decade and Volkswagen last cut its dividend in the wake of its diesel emissions scandal in 2015 that led to billions of dollars in settlement costs and fines. An analyst the WSJ spoke to said the dividend cut may be too small yet, but head of the Mercedes-Benz Cars Division, Dieter Zetsche, said 2018 was “a year of strong headwinds” for Daimler despite “challenging” conditions ahead. The Nissan-Renault tensions are still a thing and, this time, Bloomberg reports that sources say Nissan doesn’t want to appoint new Renault chairman Jean-Dominique Senard as its own, citing a conflict of interest. The jailed former Renault boss Carlos Ghosn had a chairman’s role at both companies. Nissan said it plans to put Senard on its board as a director after a shareholder vote in April, according to Bloomberg, but doesn’t want him to have the top job. Bloomberg reports that the sources, who asked not to be named because these are private company matters, said Nissan hasn’t made a final decision yet. It’s the strongest sign yet of the challenges facing the Franco-Japanese partnership as the sides try to forge a fresh path without Ghosn, who enforced a common vision over two decades through his stature and personality. Nissan is said to seek a review of the lopsided power structure, and its chief executive officer, Hiroto Saikawa, has criticized Ghosn for having too much authority and making decisions that weren’t in the best interest of the Japanese company. “Discussions on this topic will take place after the special committee for improving governance submits its recommendations, and after Mr. Senard has officially joined Nissan’s board,” Nissan said in a statement, declining further comment. Renault didn’t respond to requests for comment. Ghosn, meanwhile, is still in jail, and believes he got whacked. For anyone who has a new Mazda Miata that shifts gears on its own, it might not be doing that so well after all. Mazda said on Friday that it’s recalling about 14,370 automatic Miatas between the 2016 to 2019 model years for potentially dangerous issues with the transmission. Mazda said on certain cars in both “Drive” and “Manual” modes, electrical noise could cause the Miata to unexpectedly downshift. Mazda said no injuries or crashes have been reported yet, but that the “sudden decrease in the speed of the drive wheels while driving may negatively affect the directional stability of the vehicle,” which could lead to a loss of control or crash. The problem affects about 6,000 cars from the 2016 model year, 4,500 from 2017, 2,300 from 2018 and 1,400 from 2019. The statement didn’t say how or when Mazda would notify owners, but if you’re in the U.S., you can always check recalls via the National Highway Traffic Safety Administration website. It’s not just Miatas with the recent recall. Ford issued a statement Wednesday about the 2019 Ranger, which apparently has some possibly major issues with the shifter: Ford said the shifter could be prevented from locking in the “park” position, which would let a driver shift the transmission out of park with the truck off and without having a foot on the brake pedal. That could be potentially not great, if a person reaches around to get something and accidentally bumps the shifter into any number of gears. The recall from Ford is to check which Rangers might be affected by the issue, and Ford said it’s not aware of any crashes or injuries related to the issue. The recall affects about 3,500 trucks, with 3,000 in the U.S. and 500 in Canada. Ford said the ones it’s checking were built at its Michigan plant between June 4, 2018 and Jan. 8, 2019. If dealers do find that a vehicle is affected by the recall, they’ll look for wiring interference, relocate the wiring and try it again. Recalls, as you can see, are important. Go get them done. Firestone founder Harvey Samuel Firestone died at the age of 69 on Feb. 7, 1938, according to History. Just over a decade before his death in 1926, Firestone was making more than 10 million tires annually—about 25 percent of the total tire output in the U.S., History writes. There’s more here. Neutral: How Often Do You Check Your Recalls? And, more importantly, how often do you get them done?